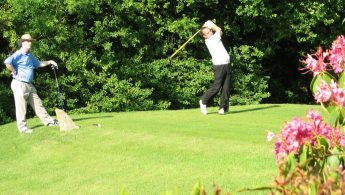 Recently recognised as a Championship venue by England Golf, the course at Waterlooville Golf Club is one that is great for all abilities. 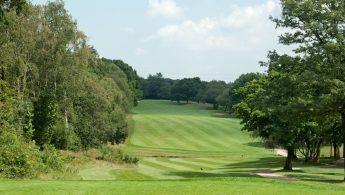 The course is a picturesque parkland course measuring up to 6,550 yards and with five par 5’s, five par 3’s and eight par 4’s our course is a truly unique and interesting experience. Following substantial investment and ongoing maintenance and improvements, the course is in superb condition with fantastic greens all year round. There is also a practice groundand short game practice area available for those who like to fine tune their skills before playing. Our signature hole is the 13th – at 566 yards you have to carry a pond with your drive, a stream with your second and the third shot requires an accurate approach to a tight green. Waterlooville Golf Club warmly welcomes golf societies and corporate groups. 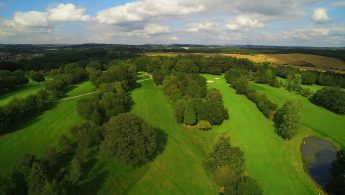 Although our minimum number to qualify for our special Society rates is 8, we can comfortably accommodate much larger groups of up to 130 making Waterlooville GC the perfect venue for your next society, corporate or charity event. You will be met upon arrival by one of our friendly staff before enjoying a round on our championship course and the sumptuous food served in our bar and restaurant. Packages available from £34.25 per person. 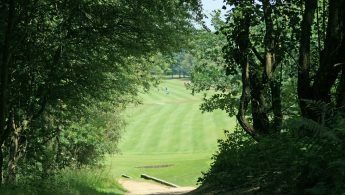 Waterlooville GC is situated just a few miles north of Portsmouth, easily accessible from juntions 2 and 3 on the A3(M). Green Fees available from £25 per person. Premier Inn - Horndean, Premier Inn - Havant, The Hampshire Hog - Clanfield, The Ship & Bell - Horndean. 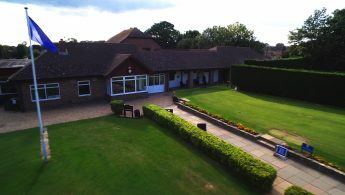 Pro-shop, Bar, Restaurant, Putting Green, Practice Ground, Changing Rooms, Showers.